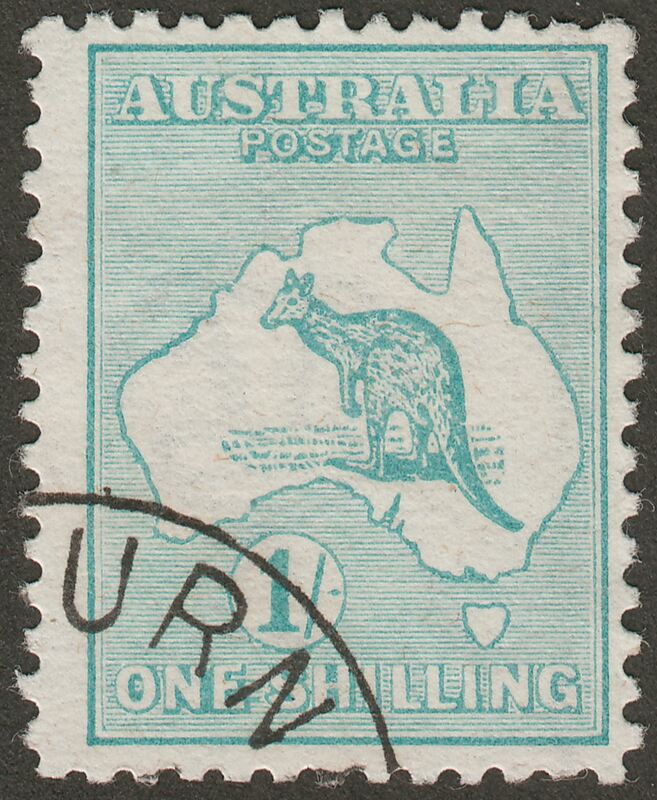 King George V Kangaroo first watermark Wide Crown 1sh emerald used with the rare JY 17 CTO cancel. 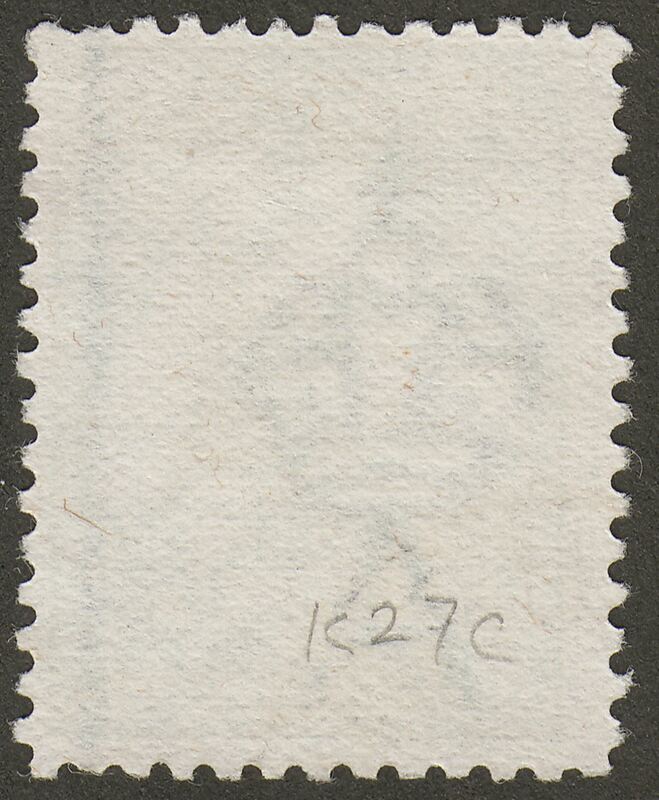 Showing small part of the 7 from 17. With a nibbled top right perf. Without gum.